Through a safe and meticulous cleaning process, the Denny Park Fine Arts team will restore the original beauty of your artwork. 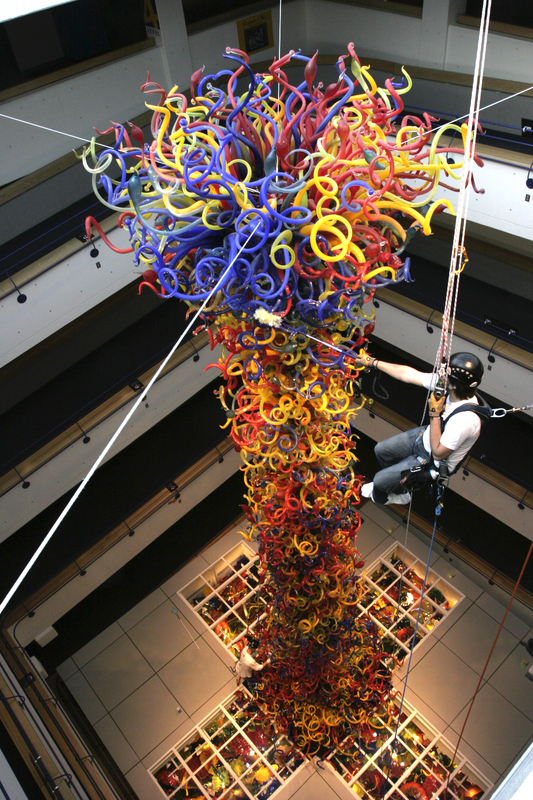 Through a cooperative relationship, our team has been trained by the Chihuly Studio on the specialized techniques needed to maintain Chihuly work. The Studio has reviewed our capabilities and introduces their past and future client to our services.